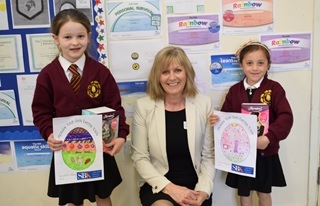 Members of the Sheldon Bosley Knight Residential Sales & Lettings Teams received a very warm welcome from the children and staff at both Acorns Primary School, Long Compton and Brailes Primary School, where they were attending assemblies recently for the prize giving of SBK’s ‘Design an Easter Egg’ Competition. Sue Maaz and Helen Cherry from the Residential Lettings team at Shipston visited Brailes School and were equally impressed with the effort the children had gone to. 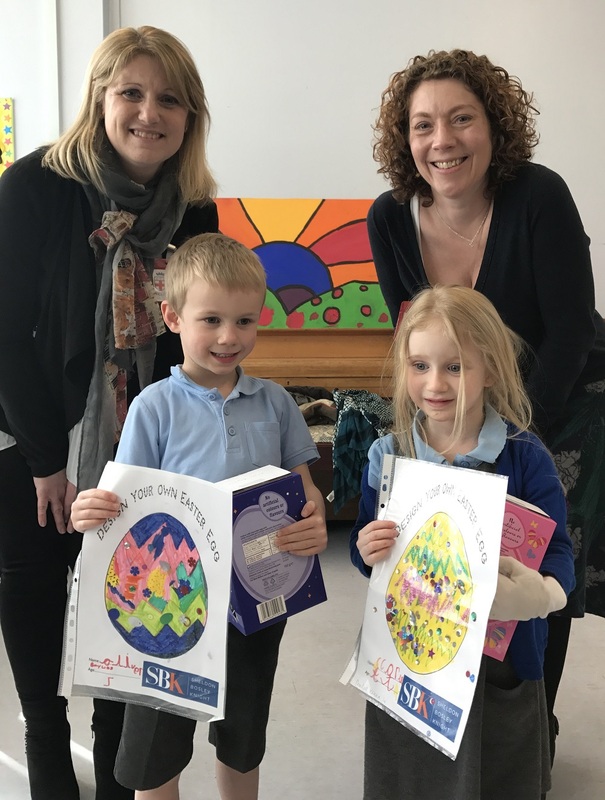 The winner, Scarlett Kenna age 4 and runner-up Oliver Bayliss age 5, both received a National Book token and Easter egg. SBK thank all the children who took part in the competition and wish you all a very Happy Easter!